Rankbrain (part of Hummingbird algorithm) is said to be the third most important ranking factor in the Google. The Moz.com claims that it (RankBrain) was implemented in the Hummingbird algorithm by Google in the month of October 2015. Now, first of all, let me explain to you what exactly Google RankBrain is and how it is affecting organic search and has an impact on Search Engine Optimization. It is the technology used by Google which actually learns; it helps the search engine to deliver best search results. It can also be said that RankBrain is machine-learning artificial intelligence system responsible for the Google results in SERPs. Why is Organic traffic the best source of Traffic? 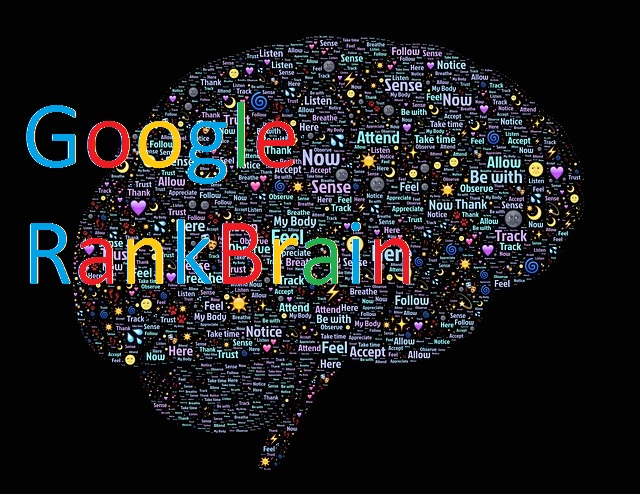 RankBrain is the name of the machine which learns; it can also be given a name “Machine-learning.” This Google’s machine is an artificial intelligence system which is used to grab search results for it. It was confirmed to search engine land by Google. Model: Which do all the identification or the prediction. Parameters: The factors responsible for taking decisions. Learner: Responsible for predictions and outcome. You can learn in detail about machine learning here. The artificial intelligence (AI) is the man-made program or thing which actually acts like a human being, or sometimes these Artificial intelligence programs work better than human beings. What these programs do is, acquire knowledge without being taught and even build their own or by making some connections. RankBrain uses the artificial intelligence (AI) to look for the best and most desired results for the searchers. Google RankBrain is responsible for the Search Results? It is not a complete algorithm, but it’s merely part of an algorithm called Hummingbird. As it is responsible for sorting billions of pages or post and showing relevant results for any kind of particular queries. The name Hummingbird was given to the algorithm in the mid of 2013. This algorithm didn’t have any name for years, but Google decided to give it a name in 2013. Although RankBrain is the newest part of the Hummingbird but has a high impact on the search queries and has become one of the important parts of the Google algorithm. Signals used by Google for Ranking? Google uses Signals for ranking web pages on the Google SERPs. These signals can be the “number of words, use of On-Page tags, unique content and the page not being Mobile friendly and some more like this.” These signals are being judged or processed by the different parts of the Hummingbird algorithm. Google says that they have more than 200 major signals and these signals have almost 10,000 sub-signals. And these signals are responsible for the ranking on Google SERPs. RankBrain Being The Third-Most Important Signal? It is among the hundreds of most important signals, but just in few months, it has become one of the most important signals. One of the Google’s People (who confirms updates) says that it is the third-most needed signal for showing results for search queries. Is RankBrain Smarter Than an Average Engineer? RanBrain is no doubt smarter than any average engineers working in the Google. Google’s engineers spent days and years to make the algorithms work, but when engineers were asked to manually look out for the search results, the results were 70 percent perfect whereas with RankBrain they had 80 percent accurate results. Although the rollout of the Google Rankbrain was a difficult task, the team which was working on the RankBrain almost took a complete year to make it to the perfection. And at last in 2015, it was rolled out. Optimize according to Google RankBrain? Rankbrain aims to make Google’s algorithm an Artificial Intelligence machine. Here are some of the tips which can help you to overcome RankBrain and shine in the Google SERPs. While moving with your SEO techniques or strategies, keep your focus on the content. Do not divert by focusing on creating the content different than your niche. Focusing on different things may lead to no ranking and will end with no traffic. You have to concentrate on a single page for ranking a single primary keyword. You can’t use multiple pages for ranking the same type of keywords, as it will not be better for ranking. Here is an example of the same. It is much advisable to use multiple keywords in the single post, thus making one of the target keywords on the page. You can simply divide the content of the page into the different sections or Sub-headings. And using these three keywords in some sub-heading and in the paragraph. And if you are using SEO by Yoast Plugin, then you can enable the advanced features of it to get meta keywords box in the snippet editor. This way you can tell the Google, the keywords you are targeting for. In some of my recent post about SEO, I have also mentioned about the internal linking. As RankBrain advises to focus on the Longtail keywords or section, so you must interlink your post with the long phrases or keywords. Besides this, it has some more features like it can help to get a good domain authority to your website and lower the bounce rate of your website. You should link from the category to the top level pages and the other pages too. Every Page Should Link from Category Page to Top Level Pages, but it must not be done through Keyword Silo. It is also essential to link internally through Long Tail Keywords like questions and larger phrases. You can check the interlinked pages or the post in this article to get a little help. It will be much better to use synonyms instead of using the exact keyword again and again. Use of the synonyms will help you rank on the Google with those search queries on which you are not even working. It will be a big help. As Google is getting smarter by using the artificial intelligence and give the results what people look for. And it looks to me that RankBrain will surely rank the content with good synonyms. The term used for synonyms is LSI (Latent Semantic Indexing) and If you are new to it then check out this post about the LSI and how to use it with perfection. It will be very difficult to say that how much RankBrain will affect the SEO in the coming days or years. It is still known to impact on the “search queries” instead of any factors in the ranking SERPs. Although, we must focus on better content optimization and write the content for the human beings to make sure that users get the original content to read. The Search Engine Land’s writer Kristine Schachinger claims that it has affected the entity search for now but due to its learning capabilities we may see improvements in the coming days. Now RankBrain has become a part of the Hummingbird algorithm, and it’s going to do its work with perfection. And we have to adopt those things which make our websites content most suitable for the rank brain. Try to add more alternate words instead of the keyword in your content for better Ranking. And please do let me know what you think about the Rankbrain update and has it affected your search queries. It is a very useful article for sny newbie SEO writer or Blogger. All the points mentioned above about the Hummingbird algo. is indeed acceptable. Thanks for sharing. Looking forward to see more of such articles from you. Hi Robin, this is a very good article for explaining how we are searched and ranked. I always try to focus on getting good results from my posts and hope I go some way towards that goal with my efforts! Yes, Rankbrain is a new algorithm from google. This was very important factor to determine the site ranking. RankBrain is not an algorithm but it’s a part of Hummingbird algorithm and is responsible for search results. Great post, I just came to know what is google rank brain. You have shared very informative details in very simple manner. I am Happy That it was helpful. It’s been indeed a great helpful article in terms of seo.I remember when my site got hit by google humming bird update and lost ranking.Then tried so hard to get back.This updates of google is always very scary,nobody knows how it goona effect our sites. You are right that these updates are really scary for webmasters but following the right rules will save. That was new to me.Thanks for sharing this useful information. Interlinking posts is a great way for decreasing bounce rates and one should always use dofollow links while internlinking posts. Nice share. It is yet another step from google to make search results sapm free and relevant. Thanks for sharing this detailed article on Google Rankbrain. I think only humans like my blog, and if I have to stick to one niche, I’m sunk. 🙂 I don’t worry too much about algorithms – they’re interesting, the way a cat finds a mouse interesting when it has no intention of EATING a rodent today. But if we want to be at the tops of the Google SERPs then we have to follow the google Algorithms. They always have new ideas to make the life for bloggers difficult. Good to have somebody who is able to explain. I am still learning about SEO. First time I hear about RankBrain. This is such a useful article! Thank you! Very interesting article on RankBrain. Important to know the technology used by google which helps the search engine to deliver best search results. – a learning intelligence system responsible for the google results in SERPs. The newest part of the Hummingbird, has a high impact on the search queries and has become one of the important parts of the google algorithm. Thanks for the tip -Try to add more alternate words instead of the keyword in your content for better Ranking. RankBrain aims to give more enhanced results and I am Glad that this was helpful to you. Thank you for this post, am not well aware of this Google Rankbrain. Innovative concept and great article! hy Robin, i’m newbie and i need your article for my blog. may i share? Copying the full article on your Blog will lead to Plagiarism, but you can share the link of my post on your blog freely and even on all your media. Please don’t copy and paste it. But you can share my posts link on your blog. You have written great article on SEO. I found your #2 point very useful. Thanks for sharing such kind of information. Interesting post and like some of the other comments above, I don’t pay much attention to Google anymore or SEO. Probably not the best decision but I hope that I am providing information directly to my readers as a friend and fellow marketer. Google changes things too often to keep up. Great article Robin! Do you think that links will start losing their importance in next couple of years, as some people are speculating? Will SEO become completely based on UX? Thanks for the visit. And I must say that it depends on the Google if they are going to make any changes or not. Links still have importance and in the coming days, I think that links will also be having the importance however some priorities may change. Let’s just wait and see what Google do. Interesting times ahead of us anyway 🙂 I guess that is the best part about this job! this is a very good article for explaining how we are searched and ranked. I always try to focus on getting good results from my posts and hope I go some way towards that goal with my efforts!